Join me every Monday for tangible business advice along with inspiring interviews, all with one goal in mind: helping you create a life you love, where you don’t have to choose between being a working mom or a stay at home mom but where, instead, you can do both! 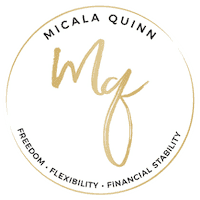 Whether you’re just starting your journey or you’re looking to scale your business, I can help you cultivate a life where you mom strong, work smart, and live free! 01: Welcome to the Live Free, Mama Podcast: A podcast for work at home moms or moms who want to work from home! What are the top five work from home freelance careers for moms? How much does It cost to actually startup your work from home freelance business? If you like the podcast, I'd love a review! It takes just a few seconds and it helps so much! You need a community of like-minded individuals on the same path as you to connect, collaborate, and learn with. Come hang out with us in the Live Free Mastermind Facebook Group. We can't wait to get to know you!